In Play with Chain Mail, readers will learn how to master the elaborate on four classic weaves in 20+ projects of all sizes, including earrings, bracelets, and necklaces. The handy jump ring chart allows readers to use only a handful of cooper and aluminum ring sizes to complete all the projects. 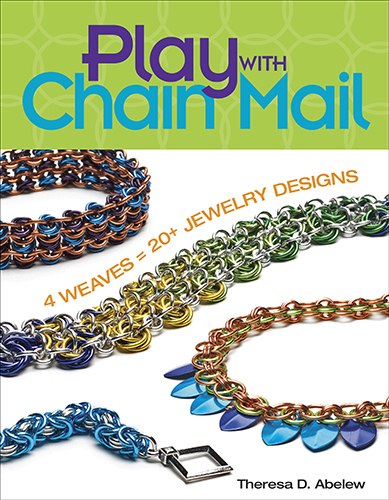 It's an easy, affordable way to get started with chain mail, master four weaves, and make colorful, wearable jewelry.